Sets of cards are some of my most favorite to create. While you have all the supplies out to make one, most of the time it's not too much extra effort to go ahead and make more! My daughter requested some thank you cards to give to friends and family that helped support her drill team fundraising efforts and I said "of course!". The new Pretty Pink Posh Wild Rose Stamp Set and coordinating dies and Thank You Script Die from the latest November Release were perfect for this project! The straight Stitched Borders 2 Die was used to die cut a 1" border from the bottom of an 4 1/4" x 5 1/2" piece of smooth white cardstock. I love the look of a stitched border. It adds a nice finishing touch. On each die cut panel, Distress Oxide Ink was used to color in the border. I used Picked Raspberry, Spiced Marmalade, Fossilized Amber, Twisted Citron, Peacock Feathers, and Wilted Violet Distress Oxide Inks. Water from a Distress Sprayer was sprayed on each and blotted dry. 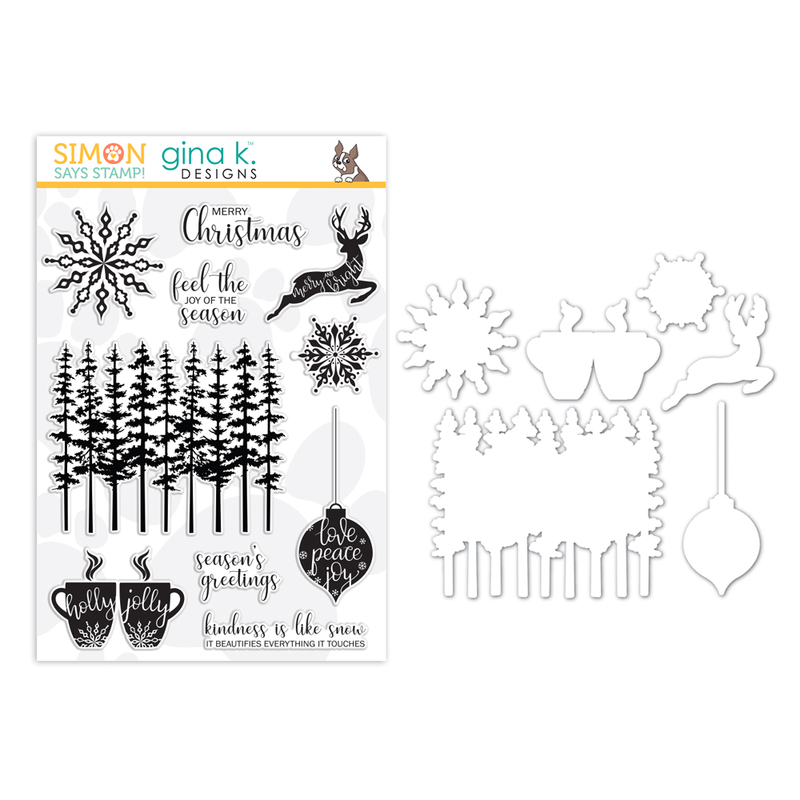 The Simon Says Stamp Grid Stencil and white embossing paste was used to add texture and distressing to each colorful panel. I applied a really thin layer so that as the embossing paste dried, the color of the background showed through. This gives more of a texturized look. White embossing paste was applied over another strip of white cardstock for the bottom of each card. I love the look of white on white. Flowers and leaves from the Wild Rose Stamp Set were stamped on Bristol Smooth Cardstock using Versamark Ink and heat embossing with white embossing powder. Zig Clean Color Real Brush Markers were used to partially color in the flowers and then a water brush pen was used to blend out the color and to give each a watercolor effect. Once dry, the flowers and leaves were die cut with the coordinating Wild Rose Dies. The white texturized border was adhered along the bottom edge of a side fold card base and the Distress Ink texturized panel was adhered to the top of each card base. The flowers were adhered to each background as shown. The Thank You Script Die was die cut from smooth white cardstock and adhered to each card along the bottom edge of the colorful panel. A sentiment from the Birdie Friends Stamp Set was stamped on Black Licorice Cardstock with Versamark Ink and heat embossed with white embossing powder before being cut into a thin strip and adhered above the die cut greeting as shown. The corners of the card were rounded with a 1/2" corner chomper. I love how the rounded edges soften the look of this card design. Each card was finished with a scattering of Pretty Pink Posh Berry Bright Mix. Today I'm sharing a couple of holiday cards featuring sequins. The first card is a shaker featuring the Joy Shaker Die, Evergreen Sparkle Sequins, and Sparkling Clear Snowflakes Sequins. The second card features the awesome new Sparkle Dot Stamp Set that makes creating a pattern with sequins so super easy! Let's get started. Both backgrounds were created by die cutting smooth white cardstock with the Stitched Notes frame die. For the shaker card, the Joy Shaker Die was die cut from the center rectangle, popped out and set aside. Both backgrounds and frames were inked with Lucky Clover Distress Oxide Ink, spritzed with water from a Distress Sprayer, and blotted dry with a paper towel. For the shaker, another rectangle was die cut from Embossable Plastic and adhered behind the shaker frame. The Joy Shaker die cut was inlaid inside the shaker frame opening. A sentiment phrase from the Winter Friends Stamp Set was stamped on black cardstock using Versamark Ink and heat embossed with white embossing powder before being trimmed into a thin strip and adhered below the die cut greeting as shown. Two layers of foam tape were adhered to the back of the shaker frame and the shaker was filled with Evergreen Sparkle Sequins and Sparkling Clear Snowflakes Sequins before being die cut with a die cut rectangle from Champagne Glitter Cardstock. The front of the card was finished with a scattering of sequins for a fun and festive look! The second card features the awesome new Sparkle Dot Patterns Stamp Set. The star pattern was stamped on the background with Lucky Clover Distress Oxide Ink. Sequins from the Evergreen Sparkle Sequins mix were adhered to the pattern for a sparkly star shape! A sentiment phrase from the Winter Friends Stamp Set was stamped on black cardstock using Versamark Ink and heat embossed with white embossing powder before being trimmed into a thin strip and adhered below the die cut greeting with foam tape as shown. The card was finished with a scattering of Sparkling Clear Snowflakes Sequins. 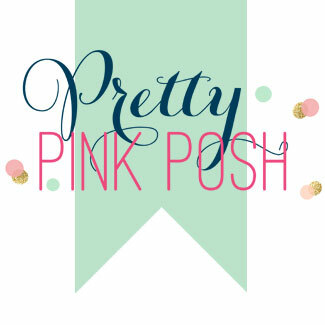 Pretty Pink Posh is giving away 4 - $25 gift certificates (two winners each day of the blog hop). Winners will be picked randomly along the blog hop. Comments must be left by 11:59 PM PST on 11/7/2017. Winners will be announced on the PPP blog. Happy Saturday my friends! Pretty Pink Posh has joined forces with Simon Says Stamp for this STAMPtember Damask Greetings Stamp Set. 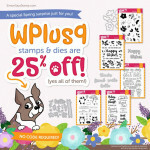 This gorgeous stamp set can be used in so many ways. Today I'm going to share how to use the MISTI and Creative Corners to line up the images to perfectly line up and stamp the designs from the Damask Greetings Stamp Set perfectly. Once the background is stamped, I embellished the stamped shapes with Nuvo Crystal Drops for added interest and texture. On a piece of smooth white cardstock, I used the MISTI and Creative Corners to line up the Damask Greetings Stamp Set and stamped the images using Simon Says Stamp Rosie Cheeks, Hot Lips, and Mint Candy inks. I love how easy it is to perfectly line up the images with a stamp positioner! A border was die cut from Black Licorice cardstock using a Stitched Borders 3 Die. A greeting from the Damask Greetings Stamp Set was stamped using Versamark Ink and heat embossed with white embossing powder. The greeting strip was adhered with foam adhesive and adhreed to the background. Nuvo Crystal Drops in Bubblegum Blush, Red Berry, and Key Lime were applied to the background and Simply White Crystal Drops were applied to the greeting strip on either side of the greeting to finish the design. 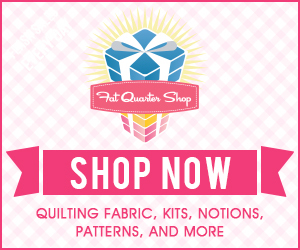 Welcome to the Pretty Pink Posh July Product Release Blog Hop! Today I have, not one, but two, cards to share with you featuring brand new Pretty Pink Posh stamps and dies (and even some older ones). Mixing and Matching stamp sets is one of my favorite things! For my first card share, I created one of my current favorite styles of cards, a tri-fold, because the Fly Away Friends Stamp Set hot air balloons and critters were too cute to be limited to a single card front! In fact, I had to pull out the previously released Camping Friends Stamp Set and Winter Friends Stamp Set for additional critters and images to complete this extended scene card. A card base was created from trimmed Bristol Smooth Cardstock. The length of the cardstock is 12" and I trim the width to 5 1/2". From the extra strip leftover after making the card base, I used a Stitched Borders 2 Die to create a 12" cloud border. On the background I applied Salty Ocean Distress Ink and spritzed the background with water from a Distress Sprayer and blotted it dry with a paper towel. Once the background was dry, I adhered the cloud border along the bottom edge and then scored the base 4" from each side for three 4" x 5 1/2" panels. This is just slightly narrower than a standard A2 sized card base. 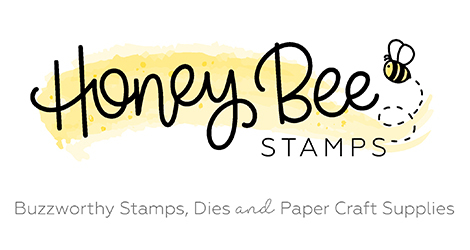 Images from the Fly Away Friends, Camping Friends, and Winter Friends stamp sets were stamped on smooth white cardstock using black ink and colored in with Copic Markers before being die cut with the coordinating dies. The images were adhered to the tri-fold card base as shown. Clouds from the Rainy Days Stamp Set were stamped on vellum using Versamark and heat embossed with white embossing powder before being die cut and adhered to the scene. Greeting from the Fly Away Friends Stamp Set were stamped on the first panel and on the Camping Friends sign. Stars from the Fly Away Friends Stamp Set were stamped with Simon Says Stamp Blue Jay Ink. Iridescent Mini Star Confetti were scattered throughout the design to finish the hot air balloon scene. Click codes below the thumbnails are links to where you can purchase the products shown in this post from Simon Says Stamp, Pretty Pink Posh, or Ellen Hutson. Where available I use compensated affiliate links at no extra cost to you. Thank you so much for your support! For my second card share, I have an inked rainbow background with an inlay with the Smile Shaker Die. Instead of a shaker card, I created an inlay decorated with images from the Summer Friends Stamp Set and a greeting from the Birdie Friends Stamp Set. On a 4" x 5 1/4" piece of Bristol Smooth Cardstock, I used post it tape to mask off areas and inked the background with Distress Inks Laura Bassen Style. The background was spritzed with water from a Distress Sprayer before being blotted dry with a paper towel. Once dry, I die cut the Smile Shaker from the inked background, keeping the inside pieces to piece the inlay back together. The Smile was die cut once more from smooth white cardstock and the inlay was assembled. Foam adhesive was placed on the back of the panel and then the inlay pieces were placed on the front. Imaged from the Summer Friends Stamp Set were stamped on smooth white cardstock using black ink and colored in with Copic Markers before being die cut with the coordinating dies. The images were adhered as shown. An additional greeting from the Birdie Friends Stamp Set was stamped on black cardstock and embossed with white embossing powder before being cut into a thin strip and adhered to the card. The design was finished with a scattering of Sunny Days Sequins. There are 4 - $25 gift certificates up for grabs (two winners each day). Winners will be picked randomly along the blog hop. Comments must be left by 11:59 PM PST on 7/18/2017. Winners will be announced on the PPP blog. Welcome to the Pretty Pink Posh product release blog hop! Today I'm sharing an Easter pocket card featuring the Easter Friends Stamp Set, coordinating dies, and Stitched Notes Dies. The unique Stitched Notes Dies pocket dies make creating a fun gift card pocket so super easy! I love that you can use the rectangle die with or without the pocket shape. The images from the Easter Friends, Camping Friends, and Fox Friends stamp sets were stamped on smooth white cardstock using Lawn Fawn Jet Black Ink and colored with Copic Markers before being die cut with the coordinating dies. From a 5 1/2" x 4 1/4" rectangle of Bristol Smooth Cardstock, I die cut the frame from the Stitched Notes Die. I stenciled the Tim Holtz Rays using Fossilized Amber and Squeezed Lemonade Distress Inks for the sunshine. Salty Ocean Distress Ink was applied around the top edges for a touch of sky. To create the grassy border, I die cut another rectangle and then die cut a slightly rounded landscape border using a Stitched Borders 1 Die. A greeting from the Easter Friends Stamp Set was stamped with Versamark Ink and heat embossed with white embossing powder. Twisted Citron and Mowed Lawn Distress Inks were applied over the border and bottom portion of the background to finish the background building scene. The background was adhered to a top fold card base and then the rest of the scene was adhered as shown. Glossy Accents was applied to the hearts, flower, and bunny nose. For the inside of the card, a rectangle was die cut from green cardstock and the pocket was die cut from the rectangle. An additional greeting from the Fox Friends Stamp Set was stamped and embossed on the upper part of the inside panel as shown and then adhered to the inside of the card. 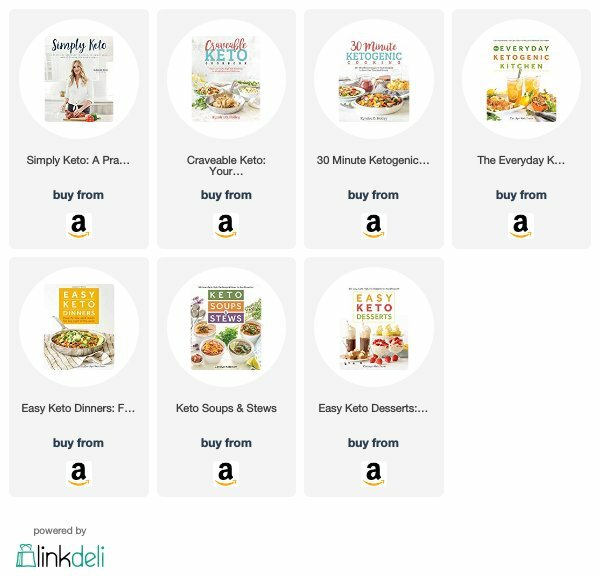 Click the codes below the thumbnails for links to where you can purchase the products shown in this post from Simon Says Stamp (SSS), Ellen Hutson (EH), or Pretty Pink Posh (PPP). Where available I use compensated affiliate links at no extra cost to you. Thank you so much for your support! There are 4 - $25 gift certificates up for grabs (two winners each day). Winners will be picked randomly along the blog hop. Comments must be left by 11:59 PM PST on 3/17/2017. Winners will be announced on the PPP blog. There is a FREE gift with orders over $80, while supplies last. Today the Mama Elephant Design Team is showcasing the amazing new Otterly Adorable Stamp Set and coordinating dies! This is the cutest stamp set and can be used for so many different cards! I paired the otters with the Park Avenue Frame and thought bubble die for this framed up scene card. I stamped the otters and accessories from the Otterly Adorable Stamp Set on smooth white cardstock and colored them in with Copic Markers. I die cut the images with the coordinating dies and added detail to the eyes and noses with the Sakura black glaze pen and added Glossy Accents to the hearts and the heart on the envelope. I die cut a Bristol smooth background panel with two of the borders from the Otterly Adorable Die Collection and die cut a frame from Bristol Cardstock using a Park Avenue Die. I applied color to the background and frame with Squeezed Lemonade, Tumbled Glass, and Salty Ocean Distress Inks. I spritzed the background with water from a Distress Sprayer and then blotted it dry with a paper towel. I added sun rays to the sky with the image from the Sunny Skies Stamp Set. I adhered the background a white top fold card base, adding the otters in the die cut waves as shown. I stamped a greeting from the Otterly Adorable Stamp Set on a vellum die cut thought bubble from the Park Avenue Die Collection using Versamark Ink and heat embossing with white embossing powder. I adhered the thought bubble to the card base and adhered the frame with foam adhesive. I adhered the colored and die cut hearts and some Pretty Pink Posh sequins to complete the design. Today I'm sharing a new Halloween card featuring the brand new Pretty Pink Posh Halloween Friends Stamps and coordinating dies paired with one of my favorite dies, the Storybook 2 Die. I started by building the background for my card. I die cut a 4" x 5 1/4" panel of watercolor cardstock with the Storybook 2 Die. Making sure to keep the inside window cutouts, I first stamped and embossed a greeting from the Pretty Pink Posh Halloween Friends Stamps on the long rectangle window cutout using Versamark Ink and white embossing powder. I applied Chipped Sapphire and Wilted Violet Distress Inks over the frame and inside cutouts using the Ink Blending Tool. I spritzed the background with water from a Distress Sprayer, let it sit for about 20 seconds letting the water wick away some of the ink, and then blotted the background dry with a paper towel. I watered down some Black Soot and Brushed Pewter Distress Paints and flicked them over the background to further distress my Halloween scene. I set aside the background and inside panels to air dry. I stamped the bunny vampire, raccoon, moon, spider, and bat from the Pretty Pink Posh Halloween Friends Stamp on Bristol Smooth Cardstock using Simon Says Stamp Intense Black Ink and colored in the images with Zig Clean Color Real Brush Markers. I die cut the images with the coordinating dies. The background frame and greeting window where adhered to a white side fold card base with foam adhesive. The square windows were adhered directly to the card base and then the critters and moon were secured to the card as shown. I decided to add some ghosts to the design. I stamped the images from Halloween Friends on vellum using Versamark Ink and heat embossing with white embossing powder before die cutting with the coordinating dies and gluing to the card with liquid adhesive as shown. I finished the design with a scattering of Pretty Pink Posh 1/4" and mini Silver Star Confetti. Click SSS or EH below the thumbnails to shop the newest Pretty Pink Posh release. Affiliate links used.